Three men are facing charges for moose poaching-related offences after a three-year-long investigation in eastern Manitoba, the province says. 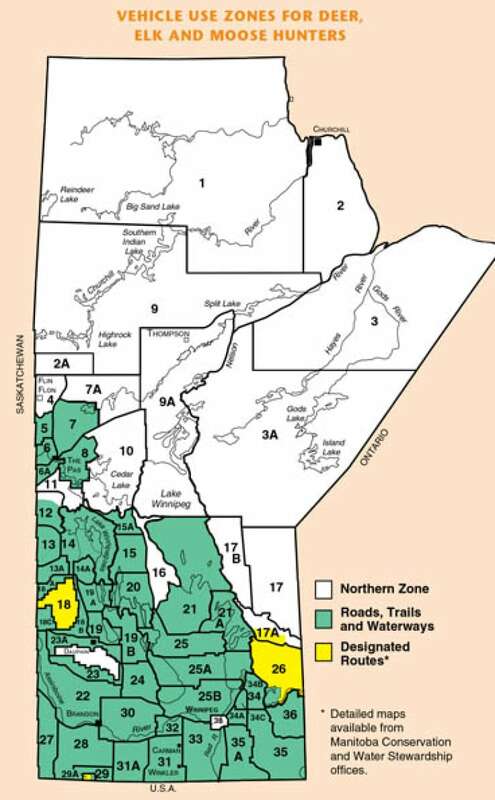 Manitoba Conservation said the illegal harvesting happened on the east side of Lake Winnipeg in Game Hunting Area (GHA) 26, an area partially closed to hunting due to an unstable moose population. Conservation officers learned that non-status hunters were allegedly hunting moose in the area and trying to get status Indians to cover for them by taking credit for the kills. Status Indians have broader rights to hunt game under existing treaties and the Canadian Constitution. "This type of behaviour is really appalling," Conservation Minister Tom Nevakshonoff said. "I'm just beside myself when I see this kind of behaviour." Jack Harrigan, manager of compliance and field services with Manitoba Conservation, said he's happy investigators managed to nab the suspects. Four moose were taken illegally in this instance, the province said. Harrigan added while non-status hunters do try to solicit status Indians to help them hide illegally harvested meat ocassionally, it isn't common. "I don't think it happens a lot or as much as people think," he said. The suspects in this case — a 44-year-old man from the Rural Municipality St. Clements, and a 65-year-old man and 74-year-old man from Manigotagan — are facing string of offences. The 44-year-old is facing three counts of hunting or taking an animal from a protected area. He's also facing charges for carrying a loaded gun in a vehicle and possessing wildlife parts killed illegally. 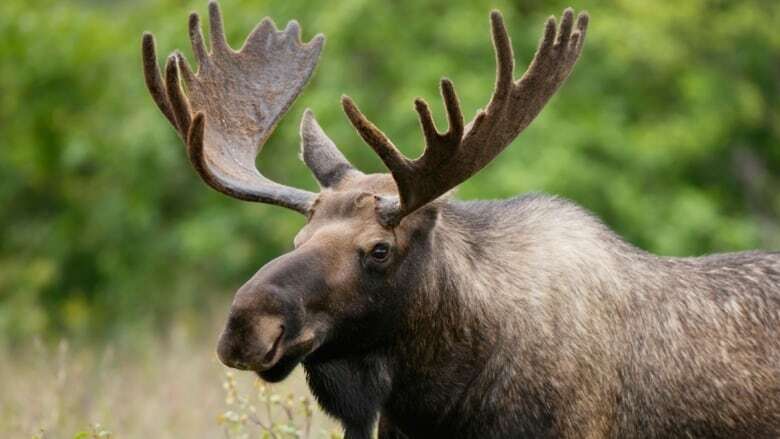 Meanwhile, the 74-year-old is facing charges for hunting moose in a conservation closure area, possessing moose parts killed in such an area and possessing wildlife parts obtained illegally. GHA 26, as well GHA 17 just north of it, have seen a decline in moose populations in recent years. Minister Nevakshonoff said a few years ago, the province and First Nations in the area reached an agreement to voluntarily close moose hunting in parts of the zones for both non-status and status Indian hunters. "These game populations are very important to me. I'm a hunter myself and a lot of our populations are in stress because of over hunting." The closure has been helping the moose population rebound, Nevakshonoff said. Despite the restrictions, the three-year investigation shows illegal harvesting is still going on, he added. "I'm very proud of our staff for accomplishing this," Nevakshonoff said. "I hope this sends a serious message to poachers out there that this kind of behaviour isn't socially acceptable in any way, shape or form." Another problematic and "inherently dangerous" element at the centre of the investigation is that some poaching may have gone on in the dark. "There have been fatalities as a result of [night hunting] and it does put our game populations in a highly vulnerable situation," Nevakshonoff said. "If we're going to actually manage these game populations and see them flourish into the future, then we have to have a discussion about this. " Manitoba Conservation has been carrying out undercover anti-poaching operations for 15 years. Despite their best efforts, Harrigan adds it isn't always easy to pin an illegal harvesting crime on a poacher. "It's integral to any enforcement operation because as you can guess, many of the public won't share information that they know directly could be used as evidence," he said. "You have to get right down in the dirt and see what you can find out." Anyone with information about illegal hunting activity is asked to contact Manitoba Conservation or call the Turn in Poachers line at 1-800-782-0076.